Spray a 9×13 baking pan with cooking spray. Line pan with parchment paper and lightly spray. 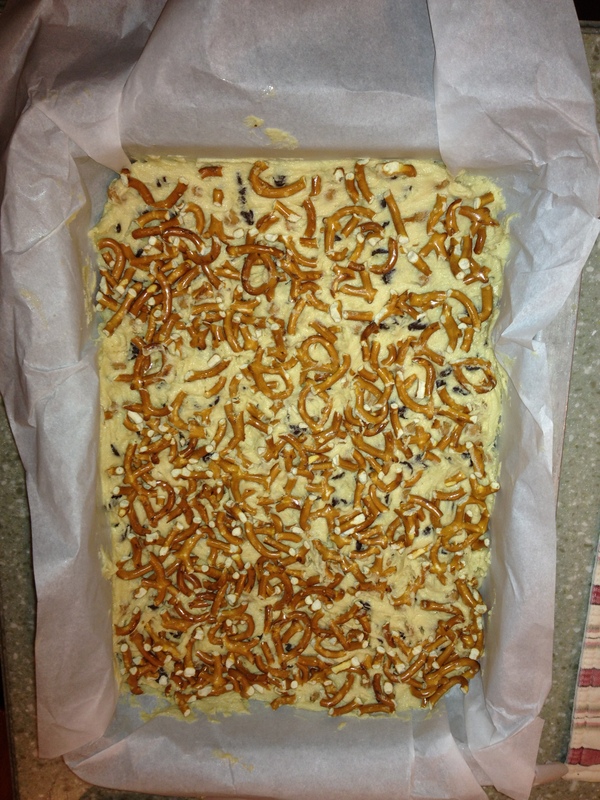 Spread dough in pan and gently press pretzel pieces on top. The beauty of the parchment paper step is that you will be able to lift the entire slab of cookies out of the pan for easier slicing. Bake for 25-30 minutes or until middle is set and top is slightly browned. Allow to cool for a few hours. 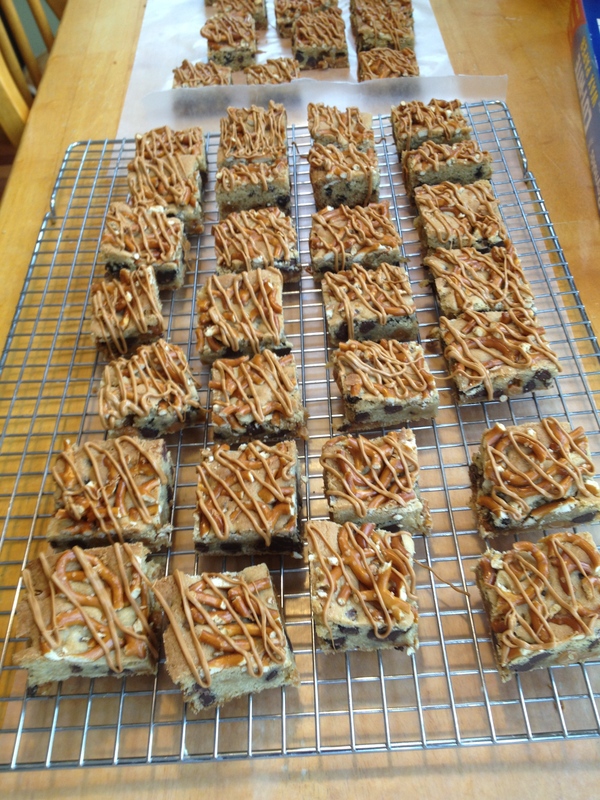 Once cool, I sliced the bars and put on a cooling rack and drizzled with Salted Caramel Wafers. These bar cookies are actually better one they have cooled, if you can wait that long! Posted in Sweet Treats and tagged Cookie bars, dessert bars, Kraft, Salted Caramel. Bookmark the permalink. 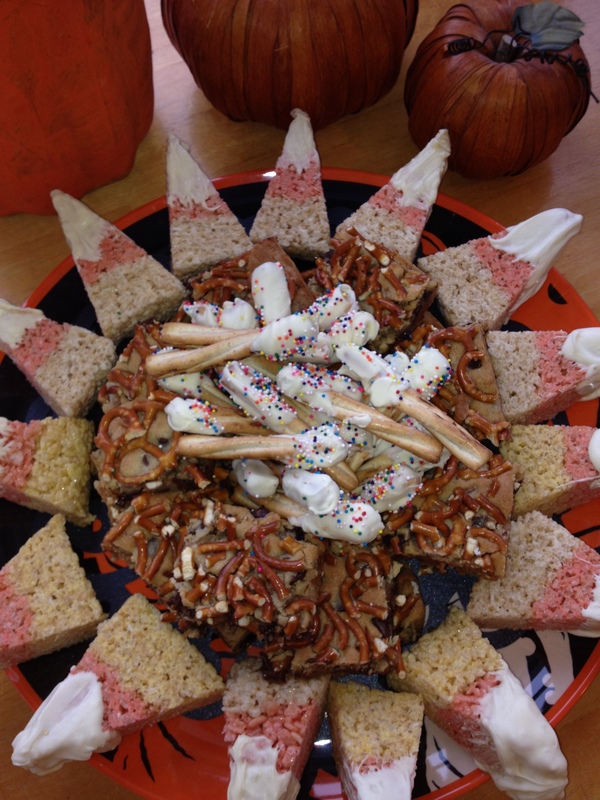 Oh baby these look good – I’m going to try a gluten-free version when we get home – yummy! 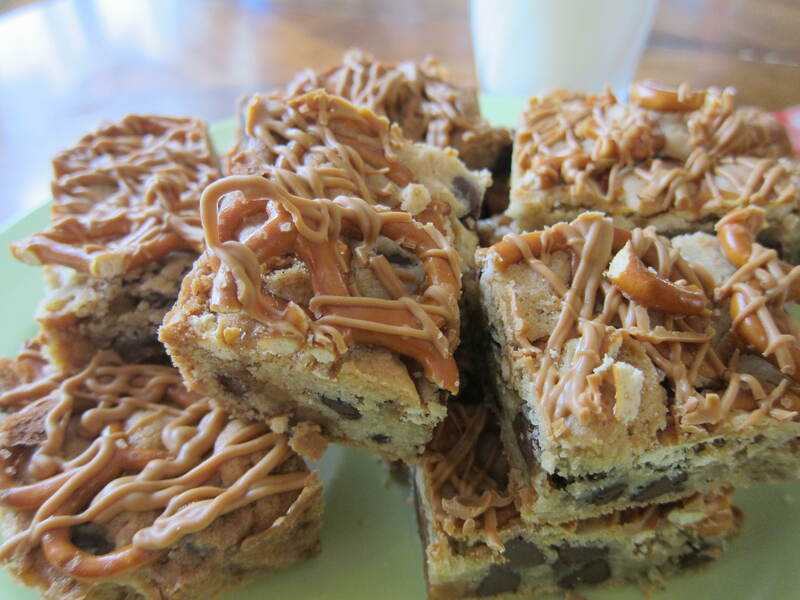 Just made some delicious salted carmel blondies. Everyone loved them. Thank you for sharing the recipe. So glad you enjoyed Nancy!